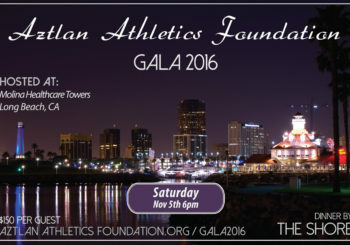 Please join Aztlan Athletics Foundation at our 2nd annual Gala on November 5th, 2016 6:00 PM. We wish to honor and thank those who have supported us with a night of great food, company, and a night of entertainment. We will also be awarding two scholarships for youth who have displayed athletic and academic excellence over the years. 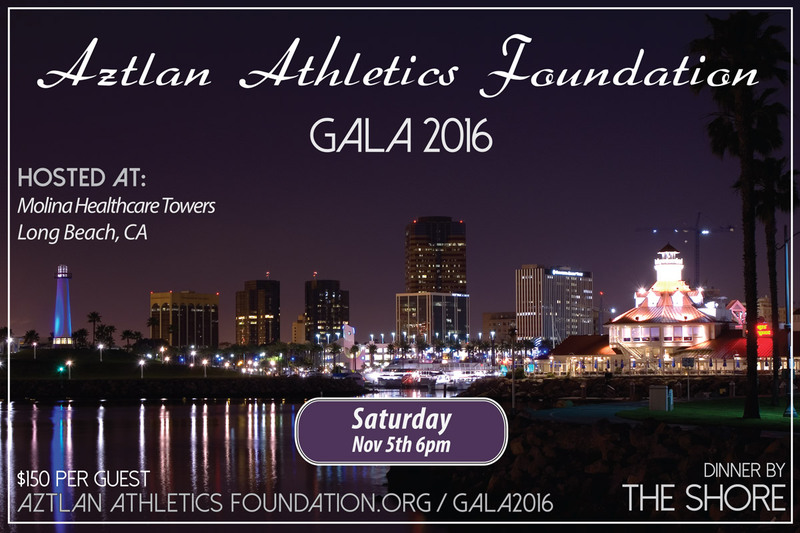 *For table sponsors with 10 guests, please contact Bryan Quan directly at bquan@aztlanathleticsfoundation.org (626) 315-6752. All event proceeds will help support Aztlan Athletics Foundation efforts with it’s partnering non-profit organizations in developing sustainable and afforable health and wellness events while providing subsidized costs for youth. Download our postcard. Share our Facebook event. Login, enter your name, and search for the next song to be played! Take exit 1C toward Downtown Long Beach/Convention Center/Aquarium. Continue onto W Shoreline Dr. Take the Golden Shore exit toward Catalina Landing/RV Campground. Turn left onto Golden Shore. Turn right onto W Ocean Blvd. 200 Oceangate, Long Beach, CA 90802. Look for Aztlan Events signs. Please enter parking structure off Ocean Blvd. After parking, take the elevator to the lobby. On the 200 side of the building (east), take the elevator to floor 15 for the Gala lobby.